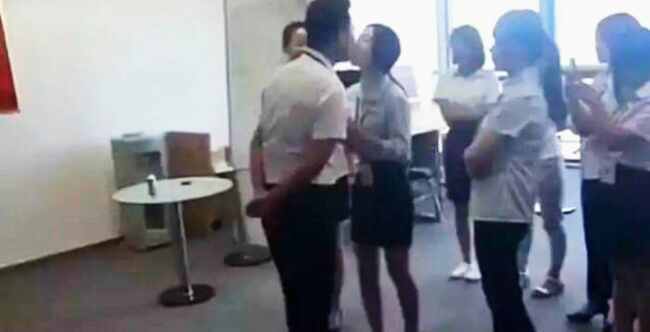 Every morning, the female employees of a Chinese company kiss their boss as it helps build work culture. I wish I were kidding but sadly, this is as true as it gets. Kissing their boss every time they step into work is a compulsory ritual that has to be followed. According to the company, it helps build interpersonal relationships and even motivates the female employees. Umm, okay. And it comes as no surprise that this company - that sells brewery machinery in Beijing - has more than half of its employees as women. As demeaning as this tradition is, it is practiced every day without fail. Many have outraged against it and two women were forced to resign after they refused to comply with it.